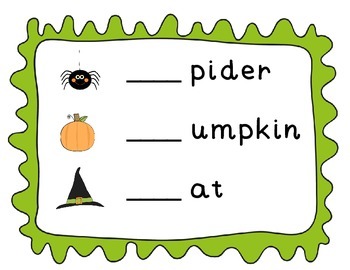 Laminate to use as a literacy center. Children fill in the beginning sound of each picture. Then, students write the words or stamp them in play-doh.